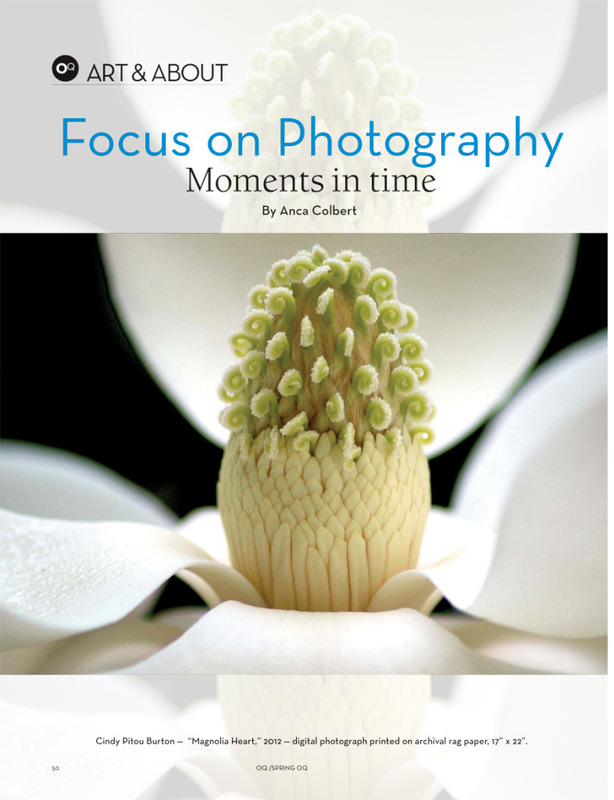 Anca Colbert’s recent article in the Ojai Quarterly is a thorough piece about the technical history of photography and the impact the digital age is having on the medium. Colbert highlights Cindy Pitou Burton as an exemplary artist whose work has embraced the transition from traditional film to digital prints. Burton’s beautiful “Magnolia Heart” is available through the gallery. All photographs ©Cindy Pitou Burton, or their respective authors reprinted with kind permission from the Ojai Quarterly Magazine.